The market is huge and overflowing with NLP and coaching courses. 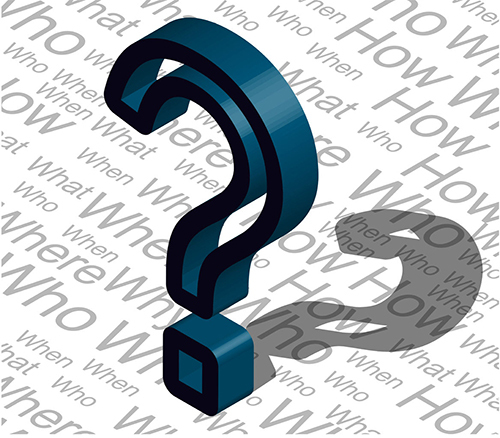 The following FAQ on NLP will help you to get some greater clarity. NLP is a form of cognitive psychology of communication. Although NLP has many coaching tools is not the same as a coaching. NLP is a form of self-help psychology and does not distinguish between therapy and coaching, but provides the basis and tools you need to use it in different directions and working contexts. Neuro-Linguistic Programming (NLP) is a model for understanding how people think, behave and communicate. It was originally developed by studying the patterns of communication and thinking of highly successful people. From these studies have come many understandings about human behavior and change, and methods for learning other people's successful strategies. Why is it called “Neuro Linguistic Programming”? The name was originally an attempt, just over 40 years ago, to come up with a name that would comprehensively describe the scope of Neuro-Linguistic Programming. It may not have been the best choice (one of the reasons why it’s usually referred to simply as NLP), though. Yes, it’s comprehensive. But, no, it’s not necessarily comprehensible. And that name has resulted in much misunderstandings, especially because of the inclusion of i.e. the word ‘programming’ in the name – many people are put off because they perceive this to be about programming peoples’ minds! Incidentally, the ‘programming‘ in the name refers to the mental and physical programmes which we use to do everything we do. That´s also why we prefer the word Psychology. Neuro Linguistic Programming/Psychology when we talk about it in everyday life. What´s in it for me? NLP provides you with a way of making changes in your own life and in assisting others in doing the same. Learning NLP can help you in all areas of your life: career, relationships, health, and overall well being. NLP also give valuable tools for coaching practice, and many NLP techniques are taught in advanced coaching courses. Coaching is a field that has experienced a great growth at all levels of society. Coaching is defined as a knowledge -based activity and a results-oriented interactive process between the coach and client. There is pre- cleared purpose, intention, desired objectives and specific evidence that the target/goals are achieved. The major difference between masterful training, counseling, therapy, consulting or mentoring and masterful coaching can be described quite simply. The coach does not have answers. The coach does not provide expertise. A coach operates from the presupposition that the client has all the resources, including the ability to discover and utilize resources. At Nordic Coach & NLP Academy we provide advanced coaching trainings within different fields, such as health, medical, NLP-based and leadership coaching programs. Most coaching begins with an initial intake appointment of two to three hours in which the coach and client design an alliance. Momentum and focus are maintained with weekly half-hour appointments. The client determines the agenda for the weekly session. Most coaching is conducted over the telephone or skype, so it is well suited to professionals' busy lives. Coaches also use e-mail and work in person. Often the coach doesn't live in the same community or even the same part of the country as the client. To many, this is seen as an advantage. It puts the coach well outside the system within which the client lives and works, and provides a sense of distance, objectivity and perspective. Are there standards of NLP and coaching? Neither NLP or Coaching is regulated by a formal overarching national or international body. NOCNA has been working over 20 years for formalizing the field and training standards within NLP and coaching. Norwegian Association for Coaching & NLP (NFCN) is approved by the Directorate of Health as a performer organization. NFCN has set minimum requirements and standards for its members. The training courses by Nordic Coach & NLP Academy are accredited by CPD Standards Office in England. The NLP training at NOCNA is also accredited by Association of Neuro Linguistic Programming (ANLP), which is the Association for NLP Professionals worldwide. ANLP is one of the most professional and trusted independent NLP membership organizations in the world and build its values upon ethical, professional, independent and with integrity and credible practice. Who can certify in NLP? There are major differences in the level of knowledge and pedagogical skills among NLP providers. This is due to increasing popularity and lack of regulation. NLP training and educations have recent years changed the shape and structure and become increasingly shorter and more superficial. There are essentially two types of NLP providers: one has a longer and more thorough NLP coach education and the right to certify in their own name. The other has only about a weeklong NLP coach education from example. The Society of NLP and is not entitled to certify in their own name. These are so-called "Licensed Trainer". To be 100% confident that you are getting a quality assured international education with high educational level within NLP, you should select an educational institution with a staff who have formal interdisciplinary background that includes educational, psychological and health education background. Our advice is to collect as many different experiences as possible, preferably from highly educated graduates who can provide a credible assessment and who are trained and have a basis for comparison. Nordic Coach & NLP Academy knows all NLP history, personalities and development and is concerned about quality assurance and to raise the standards of NLP trainings. Too many people have been NLP trainers at a one-week course and then started their own license school. NLP takes a long time to integrate and a week to get NLP trainer is not, and can never be enough to assure the quality of anyone, no matter who has certified candidate. Choose a training location that is well established and has a staff with more experienced NLP and coaching trainers who have thoroughly documented practice. NLP co-creator Dr. John Grinder has been on a personal visit to us repeatedly. He stated that he is impressed by the quality assurance, competence, standards and integrity that he has observed every time he visited the academy. NOCNA has Trainers that are all Internationally Certified and Trainer members of ANLP and the Norwegian Association for Coaching & NLP. 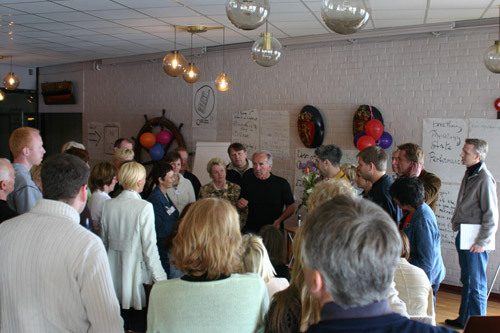 Why consider the Nordic Coach & NLP Academy? Experience. We have been conducting long-term certification programs for over 25 years. Throughout the years, we have sponsored more than 45 NLP Practitioner Certification Training Programs through our Institute, as well as participating in many other programs throughout the world. We have also been conducting Advanced Coach Certification & health Coach Certifications Programs over the past eight years, and have offered these courses in various locations throughout the Norway and Internationally. We have developed and refined our programs over time, always keeping the content and teaching methods on the cutting edge of these fields. Training Excellence. The multi-professional trainers in our programs are magnificent teachers and trainers in the fields of NLP and Coaching. Nordic Coach & NLP Academy (NOCNA) is a leading international provider of trainings within the fields of Communication, Neuro Linguistic Programming (NLP), Coaching, Health Promotion, Hypnosis and Mental Training. NOCNA’s reputation for delivering high quality CPD trainings for more than 20 years is grounded in their professional “track record”. The NOCNA highly qualified training team are all internationally certified NLP Trainers and NLP Master Trainers. They hold 13 university degrees from BSc to PhDs in adult education, law, medicine, physiotherapy, life coaching, public health, sociology, psychology & metaphysics. This gives you a quality assurance that your training will be of high-class standard. The Goal of our Training. Our goal is to teach our students to be able to actually do Coaching and NLP with a high level of skill. We also are absolutely committed to using the powerful NLP and Coaching methods with integrity, openness, joy, and ethical standards. We also treat each student with the acknowledgement of their special gifts and have as our goal for each of them to truly step into their magnificence.